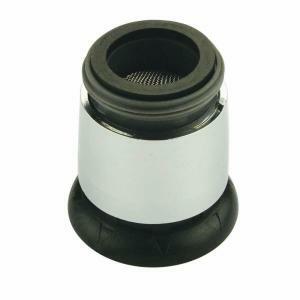 Largest Selection of Faucet Aerators and Laminar Flow devices! 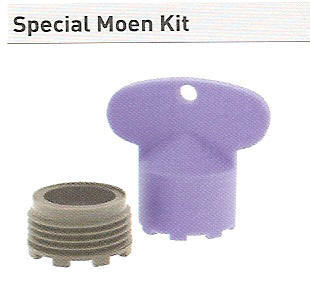 The Cache'® key used to remove or replace the aerator. 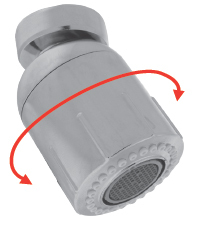 The angle of the water stream can be adjusted directly at the aerator – simply by moving the adjustable tilting plate. The best choice for hospital environments. The room air can then contain harmful bacteria that are best kept out of the drinking water and the fine droplets produced by the aerator add to the risk of contamination by inhalation. While drawing air from the room around the faucet is no problem in residential and commercial applications, it can be a concern in healthcare institutions (hospital, senior care, medical labs). An increasing number of hospitals (including the Veterans Health Administration) now recommend using non-aerated devices referred to as "Laminar" and easily recognized by their crystal clear stream. STREAM TO SPRAY IN A EASY TWIST! 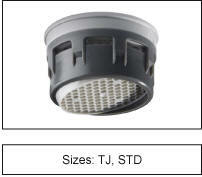 Most kitchen swivel aerators switch from aerated to spray stream patterns by pulling down and pushing up. 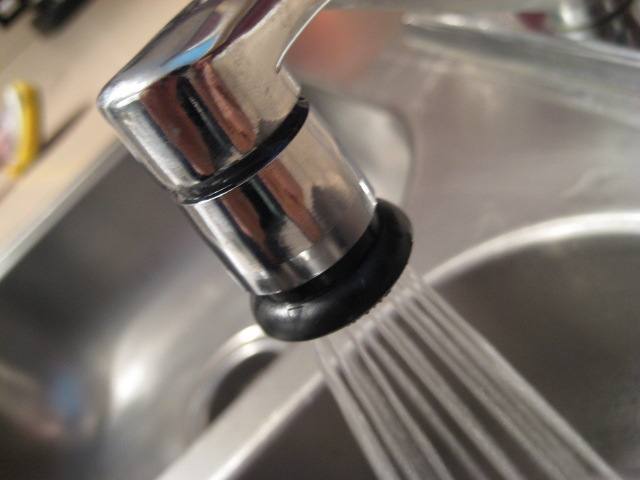 This design can damage the faucet spout and the base of the faucet. 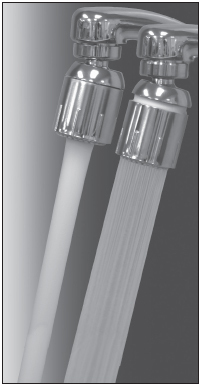 The new Vario® switches from stream to spray with a simple twist and eliminates any mechanical stress to the faucet. With a new sleeker and compact design, Vario® will give your faucet a contemporary look. 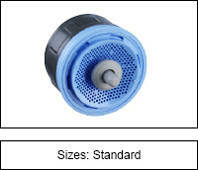 This swivel features the Perlator aerator and a built in pressure compensating 1.5gpm flow regulator to maintain a constant economy flow. PCA 0.35,0.5,1.0,1.2,1.5,1.8,2.0,2.2gpm Pressure Compensating ultra low flow faucet sprays, non-aerating. Flow rate remains constant at 20-80psi. Thank you for visiting NRG Savers and for your comments, interest or questions. Please contact us . Thank you. For a FREE consultation or product information please Contact Us and we will Email the information as soon as possible. You are under no obligation to purchase anything. Thank you for visiting NRG Savers and for your comments and interest!